If you have little ones who are just starting out in baseball or softball, I wouldn’t recommend investing in super expensive equipment. 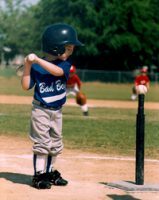 The best baseball gear for kids doesn’t have to be top-of-the-line, because not only are they going to outgrow it, but you may have a kid who ends up not wanting to play and you could get stuck with barely-used gear. In my opinion, you should start by looking for cheap youth baseball gloves, cheap youth bats, and some cheap youth baseball cleats. 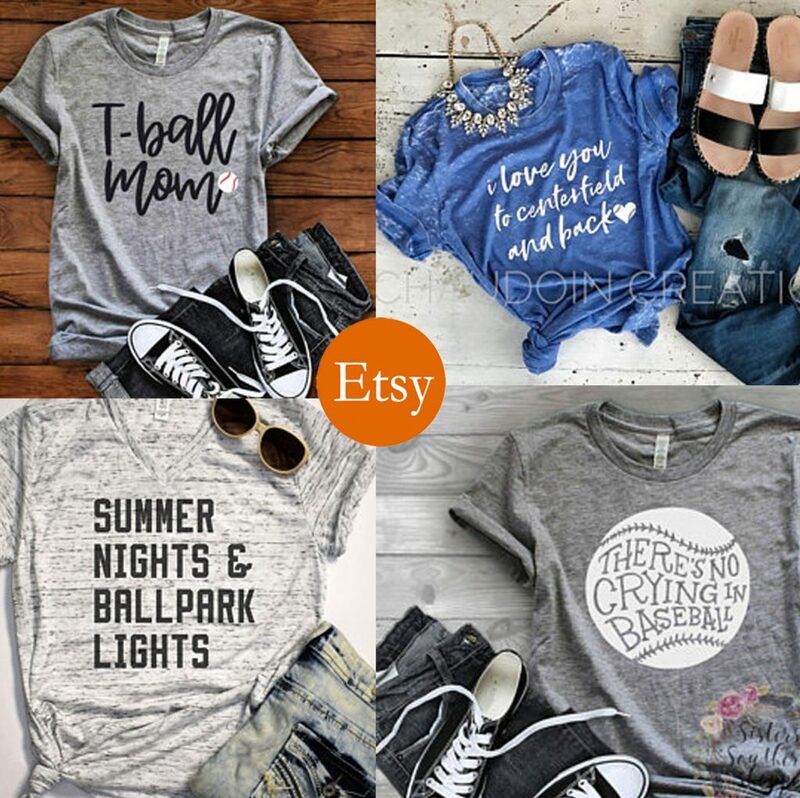 And by cheap, I don’t mean horrible quality…just low cost baseball and softball gear. 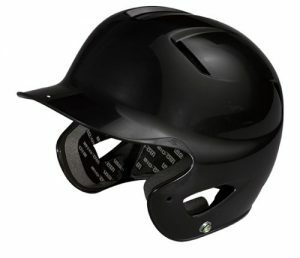 Below I have some suggestions for youth baseball gear and youth softball gear that won’t break the bank. 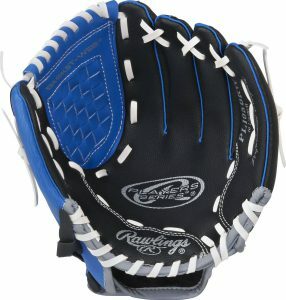 If your kid is starting out in T-ball or a beginner league, this 10.5″ Rawlings glove is a perfect choice. It has a velcro strap for a custom fit, and comes soft and partially broken in which is great for small hands that haven’t developed strength yet. This glove should last them for two or three seasons. Available at Amazon.com. If your child is a little older, like maybe seven or eight years of age, you will probably want something slightly bigger for him or her to start out with. 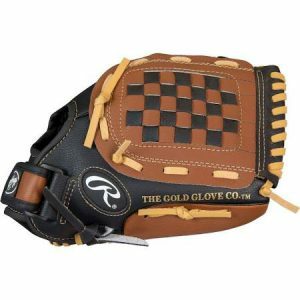 This Rawlings Player Series Glove is a great starter glove that your kid could use for a couple of years and it won’t get too small. This is a vinyl material so it’s softer than a leather glove and won’t be hard for them to squeeze. Again, I wouldn’t invest too much yet in an expensive leather glove and for less than $30, this is a really good starter option. Available at Target.com. 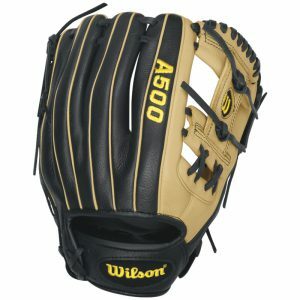 If you really want a leather glove for your new player, this Wilson glove gives you a little better quality at a very affordable price. They suggest it for a 9-year old, but it’s the same size as the Rawlings Player Series glove and could be used for 7 years and up. This is a great leather glove for your money. Available at Target.com. This 9.5″ Louisville Slugger Fastpitch Diva Glove is for a very small beginner player. Designed for developing players, it’s made of a combination of vinyl with a leather palm making it ready for “squeezing”. Available at Amazon.com. 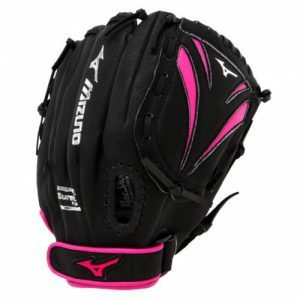 This is another great glove for a beginner softball player. I really like Mizuno gloves because they come mostly broken in and with their patented PowerClose design, they’re very easy for little hands to use. And of course, you need to have a little pink for your girly-girl baller. It comes in either 10″ or 11″. Available at Amazon.com. 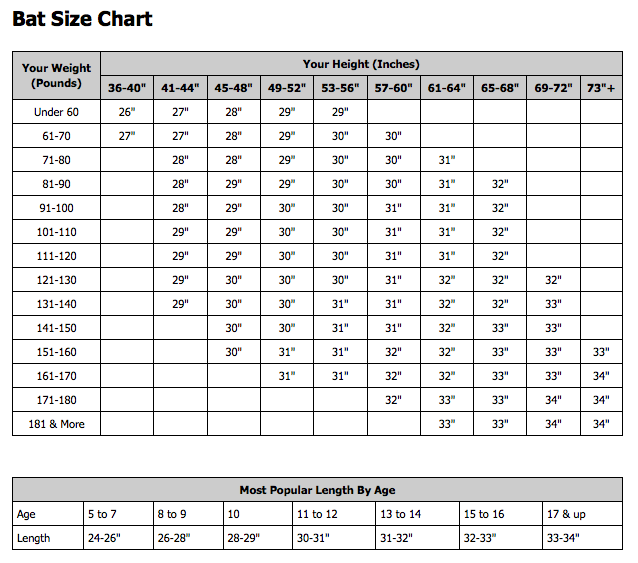 I’ve posted this bat sizing chart so you can see which size your player will need, and you can see from this that they will need bigger sizes throughout their playing careers. Another thing you shouldn’t spend a lot of money on is a bat. This is an area where I see a lot of parents making the mistake of buying $200 and $300 bats for their beginner kids thinking they’re going to be the next Mike Trout, only to find out that they need to move up to the next size after only a season or two. I made this mistake myself and if I had it to do over again, I would start with a very inexpensive kids tee ball bat. 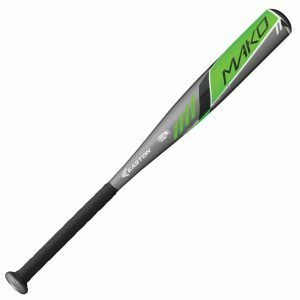 This Easton Mako is nice because it looks cool and the price is right. I would definitely start out with the 24″ size for a beginner tee baller age 3 – 6. Available at Amazon.com. 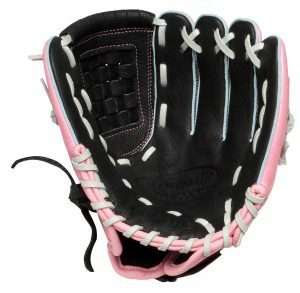 Unless your little softballer is a total tomboy like I was, she’s probably going to want some pink in her bat. This Easton bat is priced right and looks super cool. I would recommend the smallest size for a very young beginner. Available from Amazon.com. I like this Easton bat because it’s available in a variety of sizes and it’s very affordable. Easton makes great products and they guarantee them. I had to exchange a bat with them once and it was a piece of cake. This is an aluminum bat and great for a starter player who is a little older at around seven to ten years old. Once your player is a little older and you want to invest in a bat with more “pop”, you may want to get a composite bat. 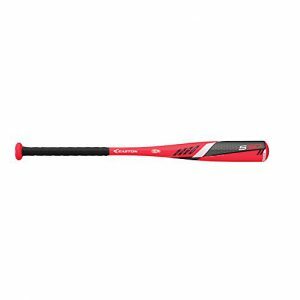 This Easton softball bat is a nice inexpensive option for a little bit older player. It looks cool and gets overall good reviews. 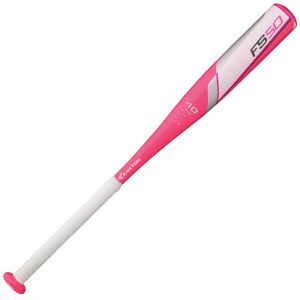 This is a good bat for a fastpitch player who’s not into the “girly” look. Also comes in several sizes for different ages. Available at Amazon.com. Kids’ feet grow so fast that you really don’t need to invest in expensive cleats right now. 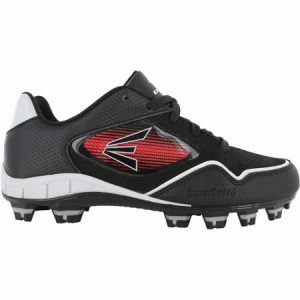 These nice little Easton cleats are a perfect starter set and the price is great. Available at Walmart.com. 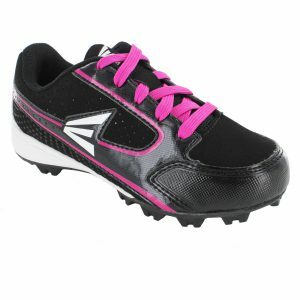 This very affordable pair of girls softball cleats are cool and have just enough of the girly-girl pink. Available at Walmart.com. For more choices of cleats, please visit my page: Cleats and Athletic Shoes. 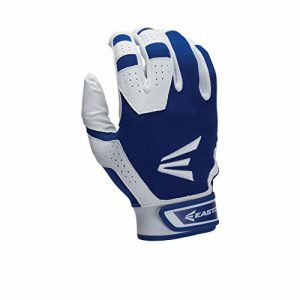 Batting gloves can also have a big range in prices, but in order to keep costs down, I recommend starting with a nice inexpensive pair like these Easton brand gloves. They come in a few different colors and sizes, and are available at Amazon.com.com. 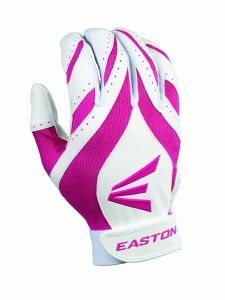 Since we’re sticking with the pink theme, here’s a pair of fastpitch softball batting gloves for your little pink baller. Available in a couple of color and size options at Amazon.com. This is an important piece of equipment for boys and there are a few different types including slide shorts, briefs, and sling style. My sons have always preferred the slide shorts style. These can be worn as underwear and the cup is removable. These are also great for protecting their hips when sliding. Available at Amazon.com. Slide shorts are another item you may want to get your baller to avoid tearing up their hips. These have padding in the sides for extra protection when sliding. You will have to buy a cup insert with them found here. Sold at Amazon.com. Most baseball leagues include a jersey, hat, belt, and socks with your league fee, but some don’t include pants so you will have to get those on your own. I really like these Under Armour pants because they’re not very expensive and the look like real baseball pants as opposed to the kind with the elastic. They also have back pockets and are hemmable. Available at Amazon.com. These Easton girls’ softball pants are knicker-style with elastic waist band and draw string. They also have a back pocket. Available at Amazon.com. Read through the reviews to find a size because people who previously bought these gave some really good insight on picking sizes. If your little baller wants a pink helmet, you’ll be able to make that happen too. 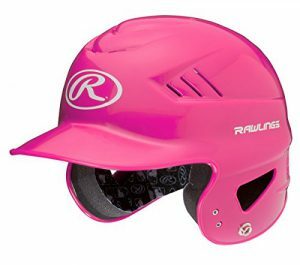 Rawlings makes this great helmet in pink for the beginner softball player. Adorable! Please feel free to leave any comments and suggestions you may have. This is great information! Exactly what I was looking for. Many thanks!